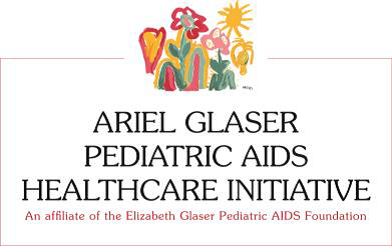 The Ariel Glaser Pediatric AIDS Healthcare Initiative (AGPAHI), an affiliate of Elizabeth Glaser Pediatric AIDS Organization (EGPAF) is Tanzanian led and managed national organization focusing largely on HIV and AIDS and other related health programs. AGPAHI implements all its programs in collaboration with Tanzania Government Entities through the Ministry of Health, Community Development, Gender, Elderly and Children (MoHCDGEC) and President’s Office – Regional Administration and Local Government (PO RALG) and other stakeholders. AGPAHI supports the provision of high-quality HIV and other health services and ensures that efforts are well-integrated into existing regional and district health systems. AGPAHI is looking for a motivated, result driven, qualified and competent staff to fill the following position. Program assistant will provide programmatic and programs related administrative support. Programmatic support includes coordinating all activities towards implementation of AGPAHI programs. Administrative support may include maintaining program information’s, compiling meeting minutes, keeping files up to date, managing program staff calendars and assisting in organizing programs related trainings and meetings. At least 1 years’ experience as a Program Administrator. Interested candidates should submit a cover letter quoting the title of the position, a CV and the Names and contact information of three referees (at least two of which must be professional) before the closure of business on Sunday 22, April 2018 to the Human Resources and Administration Manager, Ariel Glaser Pediatric AIDS Healthcare Initiative (AGPAHI) Plot 372, House No. 7 Chole Road (Near Coco Beach) P.O. Box 38252 Dar es Salaam or by e-mail to recruitment@agpahi.or.tz Please quote the title of the position applied for in the e-mail subject line or on the application envelope. AGPAHI is an equal opportunity employer. Only shortlisted candidates will be contacted.